The bigoted comments of Los Angeles Clippers owner Donald Sterling that came to light last week were deeply hurtful. That the Los Angeles branch of the NAACP had been planning to give an award to a man with a history of hateful remarks is simply inexcusable. Last night, I accepted Leon Jenkins' resignation from his position as President of the Los Angeles branch. This was the first of many steps we as an organization are taking to address this issue. 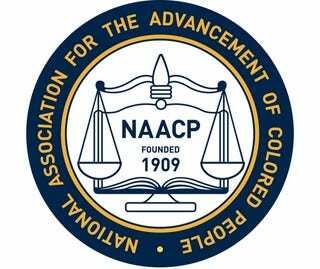 The NAACP remains actively engaged in a review of the Los Angeles branch. We will determine the shortcomings that enabled Donald Sterling to receive or be considered for any awards. We will prevent this from happening again. We recognize the need for all our units to have the resources to serve their communities, but we must not allow that need to compromise our founding principles. We must determine what Donald Sterling donated to the NAACP Los Angeles branch—in order for it to be returned. Zap, I know you may be angry, frustrated, and confused. We will be making changes, and I hope our commitment to addressing this issue helps us move forward, so we can remain focused on the critical issues facing so many of our communities. Millions still face unprecedented attacks on their rights to vote. Our families too often feel the terror of gun violence. The number of children with access to a quality education is shrinking, while economic inequality and instances of racial profiling are on the rise. The success of our mission requires vigilance on many important issues at once, even as we strive to improve our organization at every level. I look forward to working with you on both fronts this year and beyond. P.S. We commend the NBA for banning Donald Sterling for life, and commencing the process for a forced sale of his team. Write a message of thanks to Commissioner Silver, and we'll deliver your note when we meet to discuss the issue of racism in professional sports.